You may want to drive when you travel abroad. Is it legal? Check out our guide on getting a license to drive with an international driving permit. Vacationing abroad is something you’ll never forget, which is probably why over 38 million U.S. residents did it in 2017. This is the highest number in the last 15 years. However, while kicking around in another country will provide you with a number of enriching experiences, it also requires a lot of work. One of your biggest responsibilities is figuring out how you’ll get around. For convenience, you may opt to rent a car and do the driving yourself. This means you’ll need an international driving permit (IDP), which acts as your license to drive in another country. If you’ve decided to take this route, keep reading. We’re going over how to get an IDP along with some other essential information. 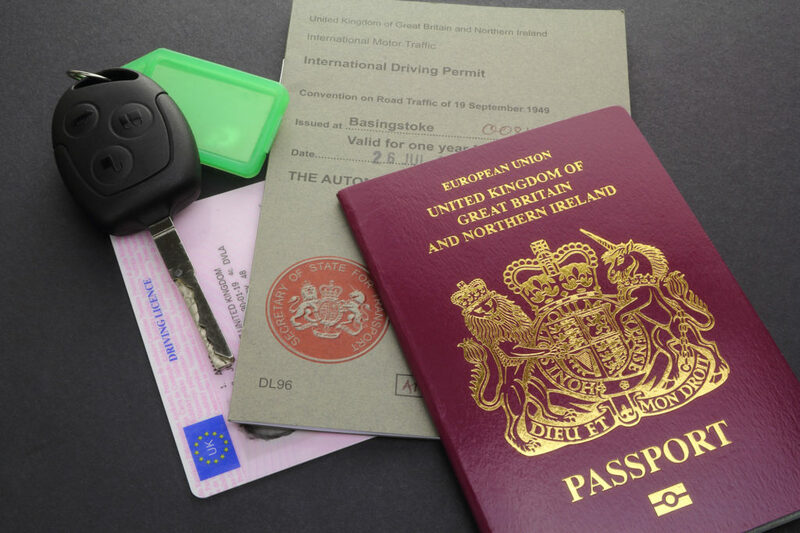 What Exactly Is an International Driving Permit? It’s important to understand different countries have different laws regarding international driving. This means there’s a good chance your U.S. license won’t allow you to drive everywhere. That’s where an International driving permit comes in. The United Nations Conventions of Road Safety established IDPs for visitors who want to drive in forging countries. It allows you to rent and drive a vehicle immediately, provided you have an American license. That’s right, an IDP alone doesn’t give you the right to drive anywhere you want. Think of it as a permit that backs up your actual license. Because each country has different regulations regarding international drivers, you should check the embassy website of the country you’re visiting to make sure you have everything in order. In addition, some foreign rental car agencies may not ask to see your IDP. However, it’s crucial you carry it along with your license everywhere you go. Obtaining an IDP is relatively easy, but there are some requirements involved. Make sure you qualify before going through the process. First, you must be a permanent citizen of the United States. You must also be at least 18 years old. You must have a current U.S. driver’s license. Your license must also be valid for the upcoming six months or longer. If you currently have a temporary license or a learners permit, you may not obtain an IDP. Over 150 countries recognize international driving permits. However, make sure you look into whether the country you’re visiting has any special provisions. You can find more information on IDP requirements at uspassporthelpguide.com. Furthermore, you’ll need to obtain your permit from the right organization. There are only two entities that can issue an IDP within the United States. These include the American Automobile Touring Alliance (AATA) and the American Automobile Association (AAA). The U.S. State Department instructs all citizens to obtain their international permits from one of these two organizations. The Federal Trade Commission warns that any other entity attempting to offer an IDP is operating a scam. While these two organizations are the only places you can get your permit, you don’t have to be a member of either. All you have to do is apply at a local branch. Or, you can print the application and mail it to one of the entities. Let’s go over the process in more detail. Before you go, call the branch and ask what payment methods they accept. Some offices may not take certain types of credit cards. If you don’t have passport photos, ask if they can take them there. The AAA also allows you to obtain your IDP via the mail. You may need to send an extra shipping fee. If you’re going through the American Automobile Touring Alliance, the process must take place through the mail. You’ll need to download their application and send it in with the same materials required by the AAA. Make sure you also include a copy of the front and back of your driver’s license. Once you receive your international permit, you’re ready to tackle driving in a foreign country. However, before your trip, you should consider a few things. There’s a good chance you’ll be out of your comfort zone while driving. It’s important to note that many countries outside of America primarily used manual transmission vehicles. In fact, renting an automatic car may pose a problem. If you don’t know how to drive a manual transmission car, learning in another country is the last thing you want to do. Make sure you take a crash course before your trip. You should also understand that other cultures have different standards when it comes to driving etiquette. It pays to research the road conditions in the country you’re visiting. Something that’s commonplace in America may be frowned upon in other countries. Staying safe is your primary concern while driving overseas. Make sure you take all persuasions, especially if driving on the opposite side of the road. Look up the traffic laws for the country you’re visiting. Do a little homework during your flight so you understand rules pertaining to things like right-of-way and passing other vehicles. Planning your route before you drive is always a good idea. If you can, use GPS or your phone to help you navigate. As always, make sure you buckle up. Like America, many countries have strict laws about this. Finally, get insurance when renting a car so you’re not liable if an accident occurs. Renting a car and driving can make your trip abroad easier and more affordable. However, your license to drive a car in America isn’t enough. Take the steps discussed above and obtain an international driving permit to ensure you’re within the law. Check out more travel tips and make your next vacation easier and more enjoyable.